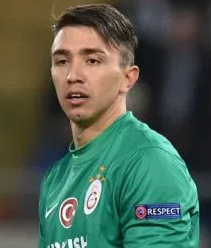 Fernando Muslera is an Uruguayan professional footballer who plays as a goalkeeper for Turkish Club Galatasaray and the Uruguay national team. He is one of the best goalkeepers of his generation. Fernando Muslera’s full name is Nestor Fernando Muslera Micol who was born on 16 June 1986 at Buenos Aires, Argentina. The nickname of Muslera is El Nene. Fernando Muslera started his career at Montevideo Wanderers where he became the professional footballer and Nacional took him on loan after his impressive performance. He was signed by Lazio in August 2007. He has made his debut for Lazio on 16 September 2007. He signed Juan Pablo Carrizo as a second choice goalkeeper at 2008-2009 season but regained the starting spot in January 2009. Fernando Muslera successful performance in 2010 FIFA World Cup with Uruguay, he was voted seventh-best goalkeeper in the world by International Federation of Football History and statics. On 19 July 2011, Turkish Super Ligue club Galatasaray signed Fernando Muslera from Lazio. On 5 November 2011, Muslera was been selected as the man of the match after saving the first penalty for Galatasaray in the match. He also broke a new club record for every foreign player scoring for Galatasaray in a single session. The match resulted in Muslera keeping his 19th clean sheet of the season, an all-time league record. 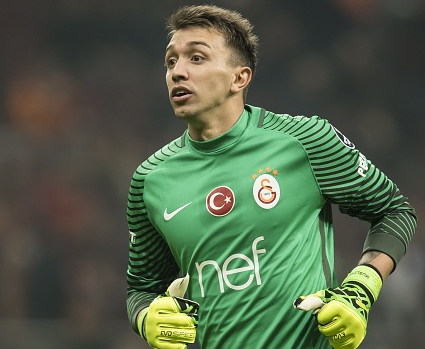 Fernando Muslera played 31 matches as Galatasaray but was not able to play in their cup final victory due to his commitments for2015 Copa America. Fernando Muslera had been called up for the Uruguay national team various times but he earned his first cap until 10 October 2009. He made his world cup debut on 11 June 2010 which was against France. He kept a clean sheet during all three of Uruguay’s group matches as 0-0 against France, 3-0 against South Africa and 1-0 against Mexico. Muslera had set a record for the longest unbeaten world keeper in the world. Muslera was again called by coach to represent Uruguay as the first-choice goalkeeper at 2011 Copa America held in Argentina. He won the matches defeating Paraguay 3-0 in the final. Muslera was Uruguay’s first choice goalkeeper at the 2014 World Cup and 2015 Copa America. For 2018 FIFA World Cup in Russia Muslera was named in Uruguay’s provisional 26-man squad. He made final 23-squad and in his nations second match of the tournament which was held on 20 June 2018 in which they win over Saudi Arabia (1-0). On 25 June 2018, they win over host Russia by 3-0. He also made the clean sheet of the tournament. He also made 100th appearance for his country in the same match. Muslera has a beautiful wife named Patricia Callero. They married in January 2016. They had been dating for two years together before they got married. Previously, he was in a relationship with his girlfriend, Eliana Dide. They had affair for several years and they even lived together in Istanbul. As of 2018, his net worth is $16 million. His current annual salary is $4 million from his current club. His astrological sign is Gemini. His height is 1.9 m and weight is 84 kg.